Project Management certifications in Chicago are gaining popularity among the employers and professionals, alike. The competitive global economy certainly calls for Chicago employees to plan and manage projects efficiently. Project management certification is a credential that qualifies employees to possess proper project management skills. However, it can be challenging to get a PMP certification since the qualifying examination is based on some strict rules. The Project Management Institute, that conducts the test, is quite particular about the eligibility of candidates, seeking to seriously challenge those who sit for the exam. Professionals should prepare carefully to successfully get project management certification in Chicago or anywhere else in the United States. For Chicago locals, expert help can be found from authorized training institutes. They offer PMP training courses and are authorized by PMI to conduct the certification examination. Northeastern University offers an excellent project management certificate program online in addition to their incredible MBA engineering programs. Their online graduate certificate program in project management seeks to provide a practical and theoretical understanding of project planning and execution. The course covers topics in project planning and scheduling, risk management, cost and budget management and project evaluation and assessment. 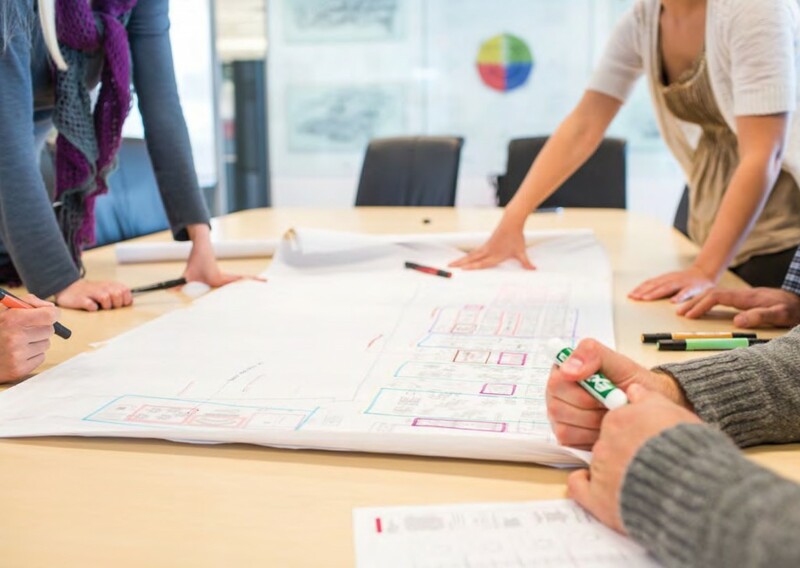 If you need courses offered in a flexible online format, Northeastern University has the online project management certification course for you. Located in Chicago, the DePaul University is one of the leading institutes providing expert project management training to professionals. Established in 1898, the university has its own vibrant history that speaks of its highly demanded academic programs. And, with their affiliation to the PMI, their project management course credibility cannot be questioned. Furthermore, DePaul University is also registered with the Illinois workNet initiative, offering eligible professionals the opportunity to gain financial assistance. The university’s goal is to provide top quality PMP training for those who want to earn the certification. At DePaul in Chicago, the project management certification course follows a logical format for working professionals or managers in training. Divided into two modules, professionals learn about the development of a properly managed project, starting from planning to the execution and managing the different phases of a project. The course employs solid training strategies to keep the program interactive and exciting for professionals. Loyola University is another popular institute that offers project management certification training to workers of all companies, both publicly traded and private. The program is specifically taught by at the Quilan School of Business. Authorized by the PMI, Quilan School of Business has some of the most sought after and highly qualified business experts for certification training. Moreover, the business school has been one of the front runners in the education scene. Their project management program is no exception. The intensive project management module was developed according to the guidelines governed by the PMI in its guidebook. Available in Chicago, the project management program has a helpful community for support and resources. Plus, their extensive training includes an elaborate book for reference within the course package of only $3400. If you are considering obtaining your certification for project management, these advantages may help you decide. If you are a certified in project management, your hard work will pay off. Not only are companies more likely to higher you, they are also likely to pay you more, as well. The return-on-investment of a certification in project management is a huge benefit. In addition to getting hired easier and getting paid more, you will also be more likely to be chosen for promotion. With this certification, you stand out from the whole IT crowd without such a certification. If you obtain your certification, it will certainly give your career a boost, perhaps even more so than IBM business analytics skills. Whether its for your company or upgrading your resume, project management certification can certainly improve your value as a professional. With such established programs available to train you for the examination, it would be difficult not consider the option. For those of you in Chicago, project management certification is highly accessible. If you are a Project Manager then the PMP Certification will be a great choice for your career because many companies are now looking for PMP Certified candidates and you will also be able to get higher pay, This article is very helpful for finding good training institutes and understanding the benefits of having a project management certification. I have gone through your post, I would love to tell you that your post is very eye-catching and thoughtful for readers. I totally agree with your point “PMP Certification is the great choice for career” in fact I have done this course.